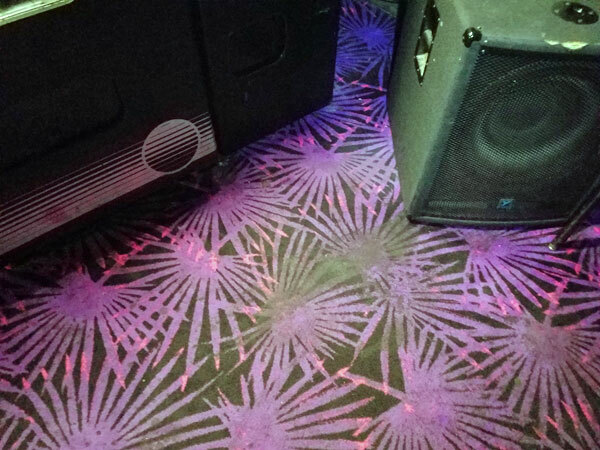 These before and after photos were taken during a commercial carpet cleaning at a night club in Tampa FL. Commercial carpets go through the wringer on a daily basis. Massive crowds wander aimlessly across them without concern about what they leave behind. Now lets put this into a night time scenario, like at a night club or bar. People shuffling around in almost complete darkness, half dancing, half walking while holding a drink. It's a perfect recipe for a lot of spillage on the carpet. This club had been cleaned only three months earlier and the soil build had come back in force. These before and after pictures were taken by the cigarette machine near one of the entrances. High traffic and multiple stains are quite visible even in the extremely low light. The photos were taken with the flash off so you would get the truest picture possible. In the before picture several layers of soil along with multiple drink stains were visible. This area was heavily pre-sprayed with a commercial grade emulsifier that helps break down the layers of soil and makes it easier to extract the dirt and grime. In most commercial carpet cleanings pre-sprays are not used. Professional carpet cleaners usually rely on the power of their rinsing agent to remove soil deposits. This job was just to dirty to rely on cleaning solutions alone. In the after photo you can see the soil has been broken down and extracted. The colors in the carpet popped. You can clearly see the pattern of the carpet and the black fields look darker. 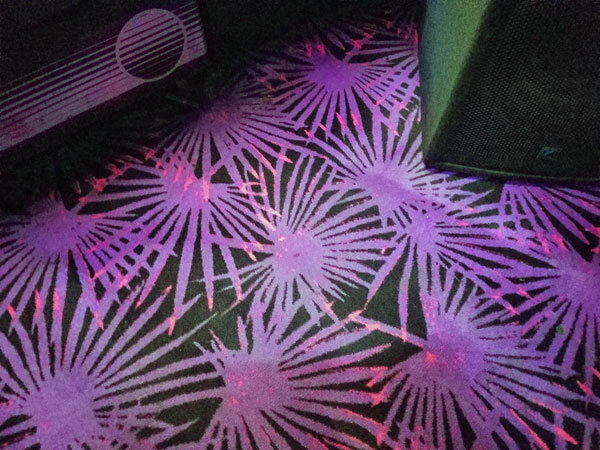 This is one night club in Tampa FL that could leave its lights on and not be embarrassed by their carpet. If you're looking for a commercial carpet cleaning company in Tampa FL, call Chem-Dry of Tampa.